Sometimes you come across the most amazing things in the most out-of-the-way places. A cliche, yes, but true enough. Here's yet another affirmation of it's shopworn validity. North Waterford. Bison burgers are the house specialty. A few weeks ago I was up in Maine on my semi-annual sojourn to visit my folks. We're inveterate yard-salers, and we spent a Saturday morning trolling about, looking for treasure. We eventually wound up in Waterford, searching for a flea market that supposedly was being held on the North Waterford World's Fair fairgrounds. Waterford is a lovely little New England town, perfect for a Saturday Evening Post cover, but North Waterford is little more than a sandy crossroads a short ride from its larger namesake. At North Waterford's crossroads, we decided to go left. There were no signs, and no indication of anything like a fairgrounds. But then, half-a-mile up the road, there was a hand-painted, weather-beaten board proclaiming "Fair Parking" with an arrow pointing left up a dirt road that skirted around what appeared to be a dilapidated, abandoned chicken coop. Never shy about dirt roads, my parents veered up the hill, bouncing the car over ruts and stones and on into the woods. The road ran upwards through the trees and overgrown blueberry bushes, around several more tumbling-down structures, before emerging a quarter-mile later onto a weedy field surrounded by more shanty-like sheds. 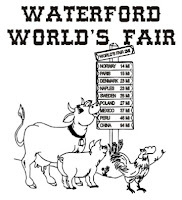 "Welcome to the North Waterford World's Fair" a faded banner proclaimed. Apparently we had arrived at the fairgrounds. True to the claim in the classified ad in the paper, there was a flea market going on. A dozen sellers had set up tables in a few of the sheds, their wares piled on overturned cardboard boxes or arrayed on folding tables. It was a pretty meager showing, but we'd come that far, so we climbed out of the car. Romance novels, kiddie clothes, VCRs, kitchen gadgets, crocheted novelties, rusty tools – the usual stuff, being picked over by a few buyers. But then something caught my eye. 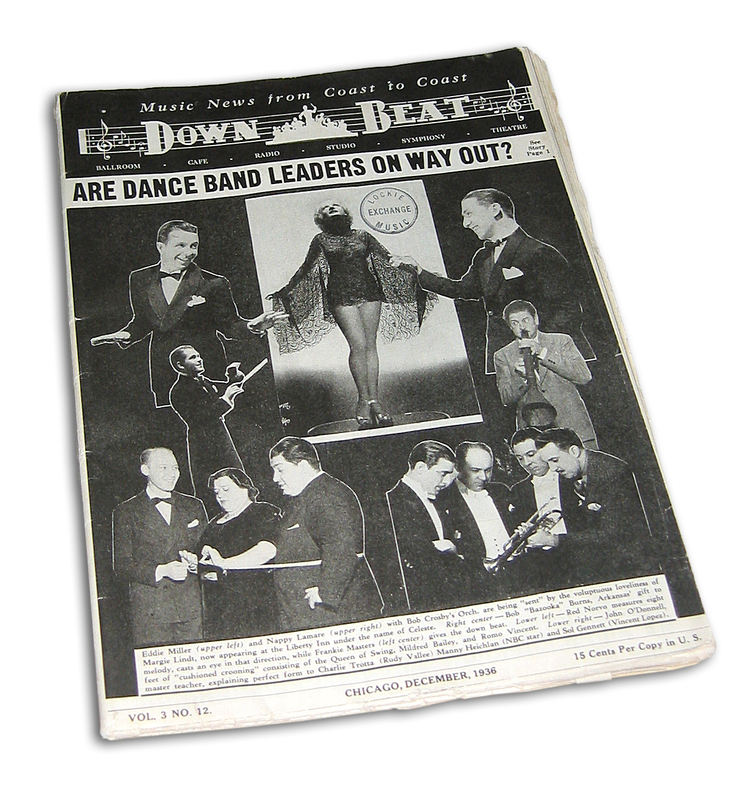 Down Beat was still a monthly then. On one end of a table there was a pile of sports and hunting magazines. Sticking out from near the bottom of the heap was what looked like – could it be? – an ancient Down Beat. And so it was! 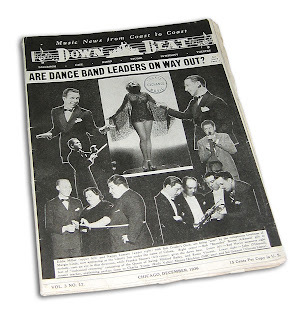 A DB from way back in 1936, two years after the venerable jazz rag had published its first issue. I feverishly leafed through the rest of the magazines, but there were no others. I was immediately struck: How had a 77-year-old newspaper made it all the way to ... North Waterford? One of life's great (or not so great) mysteries. The paper was in great shape with no tears and no pages missing. I paid a buck for it and spent the better part of an hour going through it back at my folk's place. Here were stories that mentioned Earl Hine's orchestra at the Grand Terrace in Chicago, a blurb about young trumpet upstart Roy Eldridge tearing it up over nightly network broadcasts, and a feature about Mildred Bailey and her new hubby, Red Norvo. Plus loads of great period advertisements, record reviews and nightclub listings. One thing that struck me: So many of the musicians mentioned I'd never heard of before. Shown on the mag's cover were Margie Lindt, Bob "Bazooka" Burns, Frankie Masters, Romo Vincent, Charlie Trotta, John O'Donell and many others. Who? I don't know, and history doesn't either. But there was one fellow – a pianist – whom history hasn't forgotten. And the squib in Down Beat that mentions him is perhaps one of his first national press clippings. 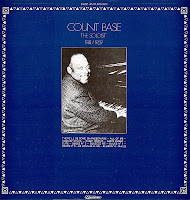 It's 32-year-old Bill Basie, nicknamed "Count," and it prominently features what the magazine claims is the first photo to be published of the band leader. 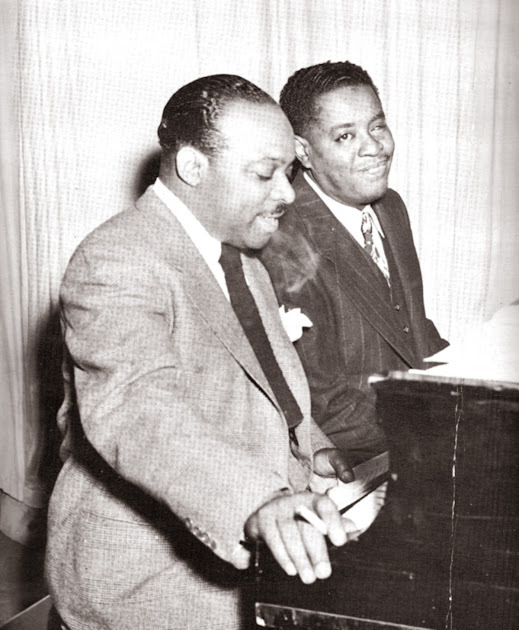 Basie and the boys had been getting their road show together, playing at the Grand Terrace for an extended stay before heading to New York to record for Jack Kapp and the Decca label. John Hammond, who had discovered them when he chanced to hear a radio hookup from a Kansas City nightery, had tried to get them signed to Columbia. But Kapp had beaten him to the punch. So Hammond famously arranged to secretly record Basie in a small group (with Lester Young) while the band was in Chicago. Those sides were issued as by "Jones-Smith Incorporated," and they remain classics. Though it took place just a few months earlier, there's no mention of that recording session in the article. But the orchestra gets a glowing review and Basie and his rhythm are rightly credited with being the finest in the nation. 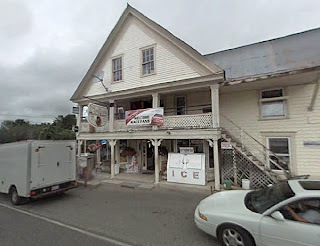 So I thought it only appropriate that Gems serve up a few examples of the Count at the piano to celebrate this bit of jazz history that serendipitously came my way in far-flung North Waterford, Maine. These files were ripped from the original vinyl with, in this case, no cleaning of the sound whatsoever. 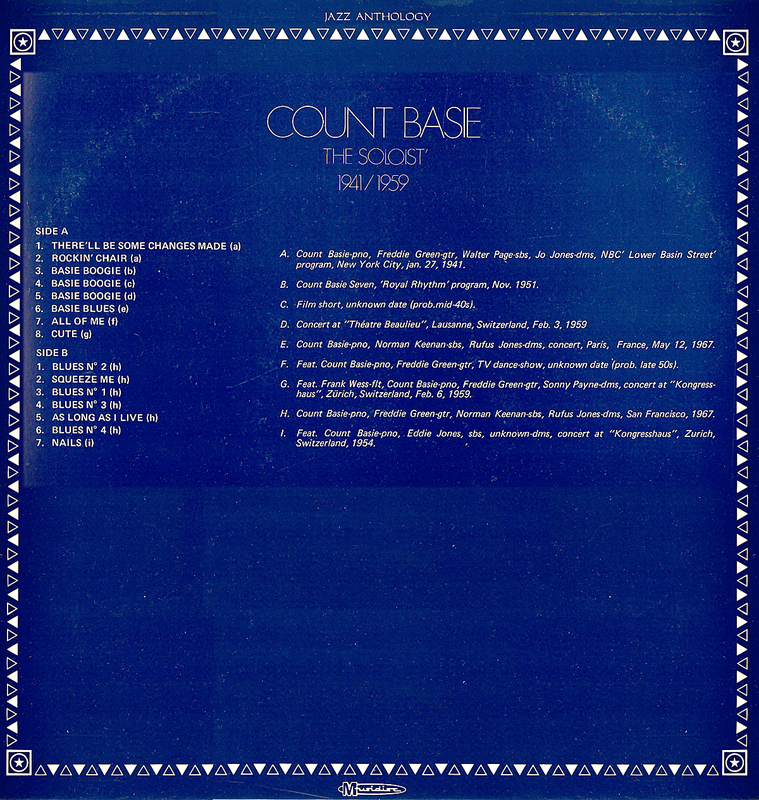 Count Basie, p; various groups including Walter Page, Freddie Green, Jo Jones; Wardell Gray, Clark Terry, Marshall Royal; Eddie Jones, Sonny Payne; and others (see download for full personnel, dates). David, thank you for the story and for the share. 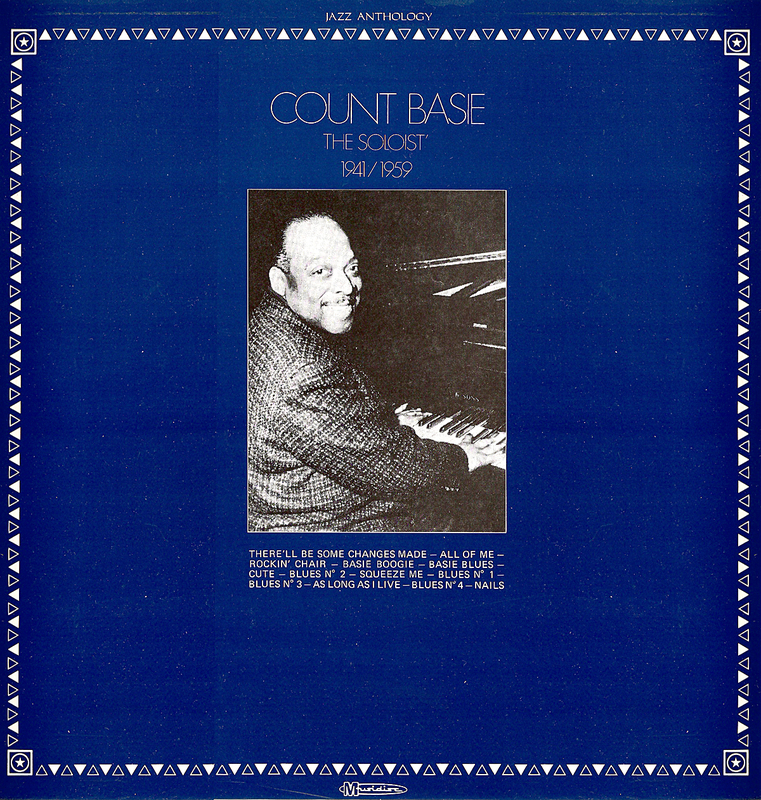 I don't know that I've ever heard anything from Basie that didn't swing. Always, good stuff. A case in point here, JC. The man could swing 12 bars like nobody else – and with only a dozen well-placed notes! 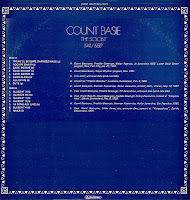 I've got another Basie LP I'm thinking of uploading, an Epic album called "Basie's back in Town." It's got some obscure mid-'40s material on it. I hesitate only because it might get me in trouble with the Digital Millennium Copyright Act (Sony's a stickler about its copyrights). That sounds like it would be a sweet offering. It seems to me that Basie's 40's bands are overlooked sometimes because Lester Young left. Still, there was a lot of talent and the music cooked for sure. However, I'm sure your followers understand not wanting you to get in any trouble. So, I have no doubt whatever you happen to share with us next will be excellent. Thank you, as always, for what you do. any chance of a reup on this one?